A couple of weeks ago I was invited to the Bio Oil launching event at Plaza Senayan. When I first received the invitation I was excited because I've been curious with oil treatments lately and Bio Oil is one of the products that I wanted to try. 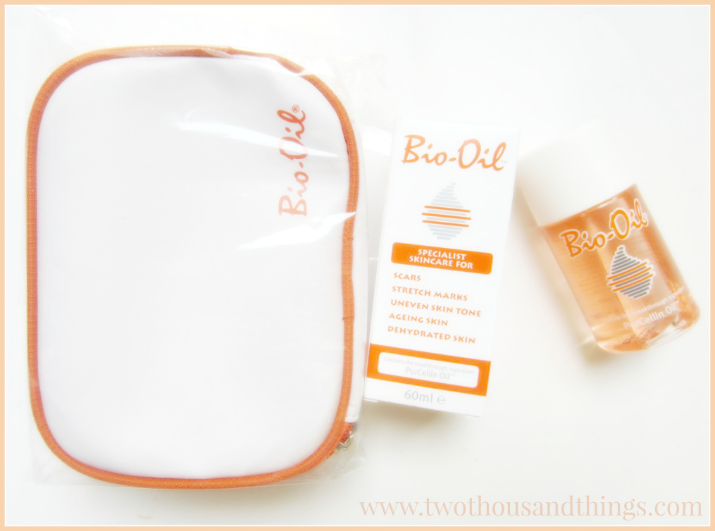 I've heard about Bio Oil before, from all the beauty blogs based in UK or USA. I've heard good things about it so I'm happy that it's finally available locally here in Indonesia. The number one thing that I keep hearing about Bio Oil is how it can help diminish scars and stretchmarks. Well I don't have any stretchmarks yet because I'm not pregnant yet, but I do have many scars (old and new) because I got itchy easily and always end up scratching my skin until it create some scars. So yeah I'm excited to try this miracle oil to combat those ugly dark scars. At the event we learned that Bio Oil is a skincare product specializes in improving the appearance of scars and stretch marks. It was first formulated by a German chemist named Dieter Beier in the year 1978. From then on, the formula was developed again and again, and now it can also be used for treating aging skin, uneven skin tone, as well as dehydrated skin. Bio oil has earned 191 international awards and has been ranked first in 17 countries as a specialist product specifically for the treatment of scars and stretch marks since its launch in international market back in 2002. Bio Oil is a combination of natural oils extracts and natural essences that can help with skin regeneration process. It contains Vitamin A, Vitamin E, Rosemary Oil, Lavender Oil, Calendula Oil, and Chamomile oil. What makes it different with other oil treatment products is that Bio Oil also contains Purcellin Oil which reduces the oil level / thickness so that it feels light and less-oily on our skin. Purcellin oil also helps soften our skin and making it smooth and supple. Bio Oil can be used for the face and body. As mentioned above, this oil can be used for scars, stretchmark, uneven skintone, aging skin, or dehydrated skin. It is hypoallergenic so it's suitable for those with sensitive skin. For stretchmark, it is advised to use Bio Oil at the start of your second trimester. For scars, you can use Bio Oil to help diminish old scars as well as new scars. For old scars it would take a longer time to treat but with routine usage it would give good results. Just don't forget that you only need 1-2 drops for every usage, you don't need that many drops of oil. So a bottle of Bio Oil would surely last you a long time. NOTE: Every packaging of Bio Oil has an information sheet which includes a clear explanation of how to use the Bio Oil correctly for each kind of problems (scars, stretch mark, etc). Please pay attention to these instructions as there's a different method for each kind of problem. I need a longer time to review this product because my scars are old and pretty deep so I guess it would take about 3 months before I can see a significant result. So this time I'm just gonna write about my first impression after using this product for more than a week. At the event we were told that although it is oil based product but it won't feel oily or greasy on the skin. Well I do have oily skin so when I put this product on my skin it still feels a little bit oily but not greasy and not sticky at all. And thanks to how fast it sinks on our skin the slightly-oily feeling would be gone as soon as your skin absorbs it all. So the end result is it doesn't leave any residue or oily feeling on the skin. Once it's absorbed by the skin, it will leave you with a hydrated supple skin that looks and feels healthy. I'm now trying diligently to use this Bio Oil everyday, morning and night. After massaging 1-2 drops of this oil into the scars I also mix a couple of drops with my body lotion and then slather it on the skin. It adds extra moisture to my skin and keeps it hydrated for a longer time. I also used this dry oil on my face. Sometimes I mix it with my moisturizer, but other time I just massage it directly to my face (one drop only). It gives suppleness on my skin and keeps it hydrated in air-conditioned room. So have any of you tried Bio Oil yet?